Parmesan Archives - What's In The Pan? 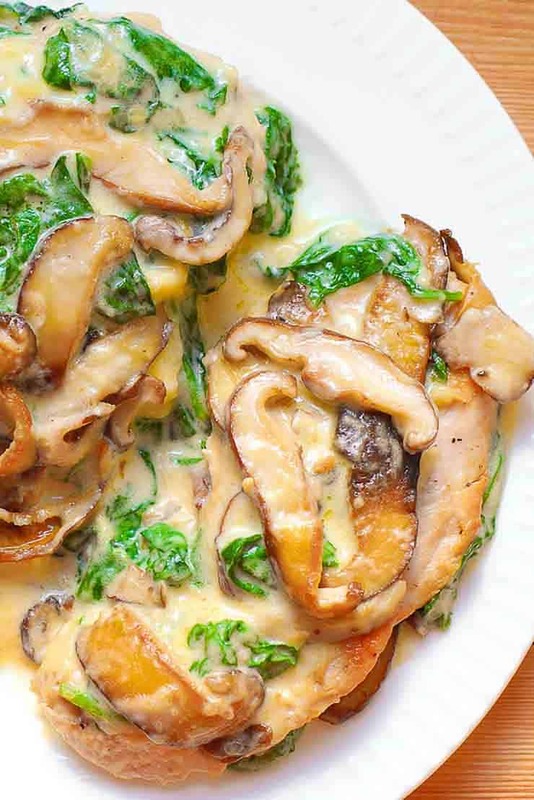 Easy Chicken Breasts with Spinach and Mushrooms are in creamy Parmesan sauce. 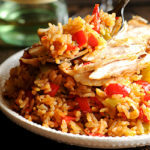 And you can make this easy one pan dish in 30 minutes! Perfect for busy weeknights! 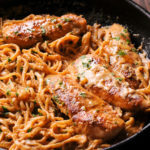 Garlic Butter White Wine Pasta makes a great side dish to a lot of recipes, such as Chicken Marsala or Shrimp Scampi. It’s so flavorful when cooked with scallions, tomatoes and Italian seasoning and then generously coated in White Wine Parmesan Sauce! With only 25 minutes of total work, this creamy garlic spaghetti sauce is simple, fast and delicious! This Honey Mustard Brussels Sprout Salad with Cranberries, Apples and Pecans is a healthful and vibrant salad for this time of year! But the best part is the incredible homemade dressing made with honey, Dijon mustard and apple cider vinegar! 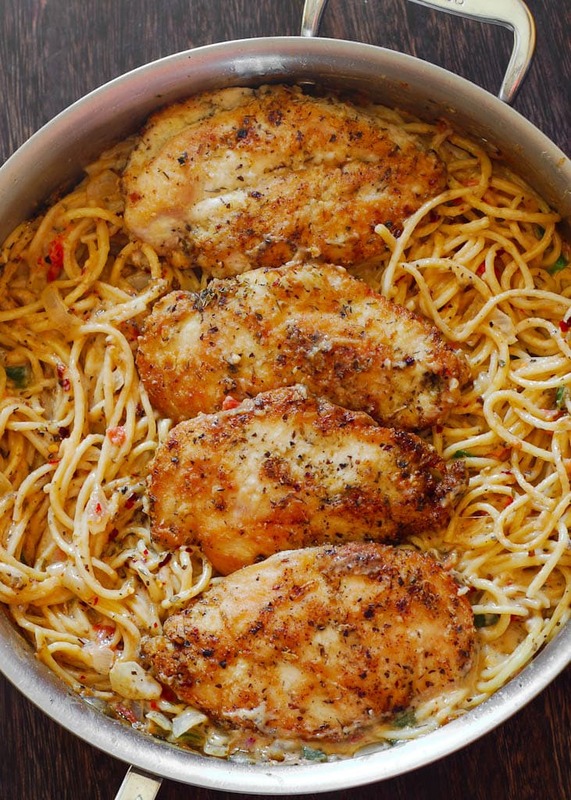 Chicken Pasta in White Wine Sauce is cooked in one pan and ready in under 30 minutes. 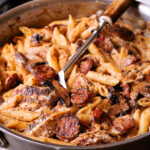 This creamy pasta dish is the perfect easy dinner to serve on busy weeknights. 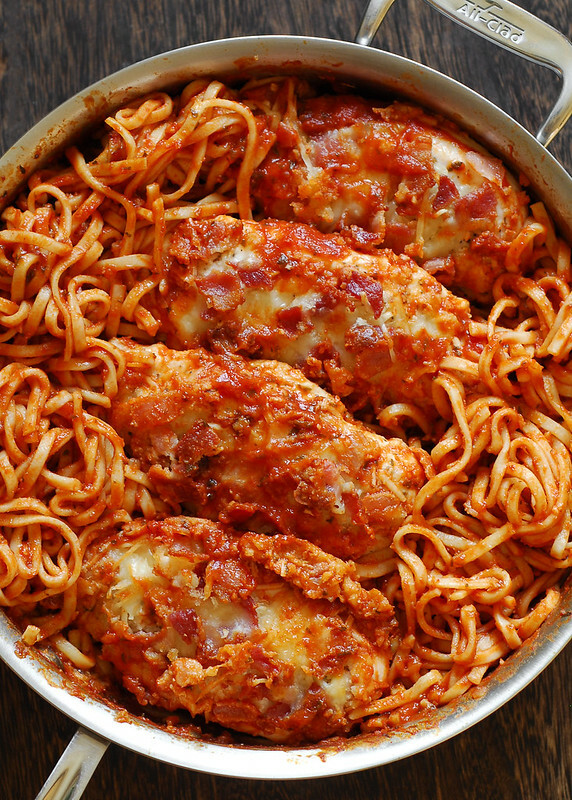 Baked Chicken Breasts with Pasta in Homemade Italian Spaghetti Sauce is a delicious pasta dish made with spaghetti and the best ever homemade Italian Spaghetti sauce! It’s paired up with baked Mozzarella, Bacon and Parmesan crusted chicken breasts. The main steps are cooking bacon, making Italian Spaghetti Sauce, baking chicken, boiling spaghetti and finally putting it all together. Easy enough! 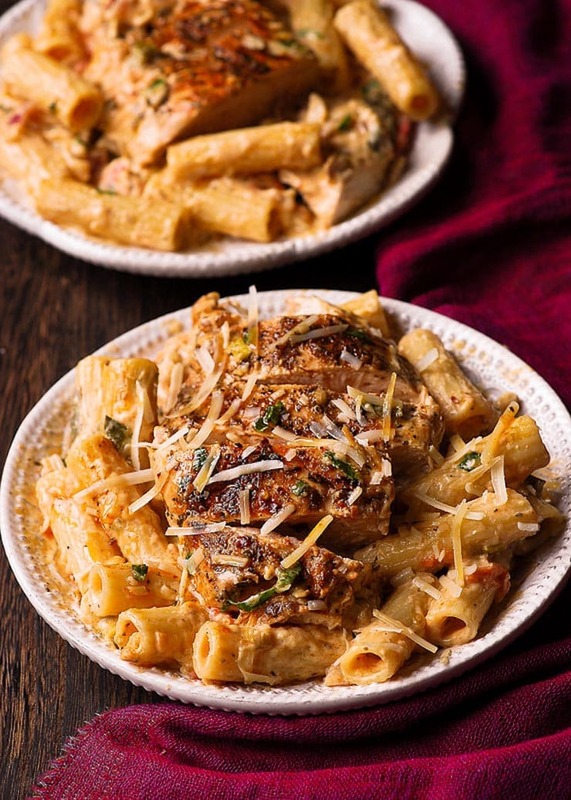 Italian Chicken Pasta in Creamy White Wine Parmesan Cheese Sauce will remind you of your favorite dinner experience! 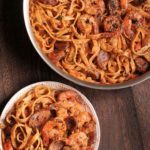 Easy to make weeknight one pot pasta dish! 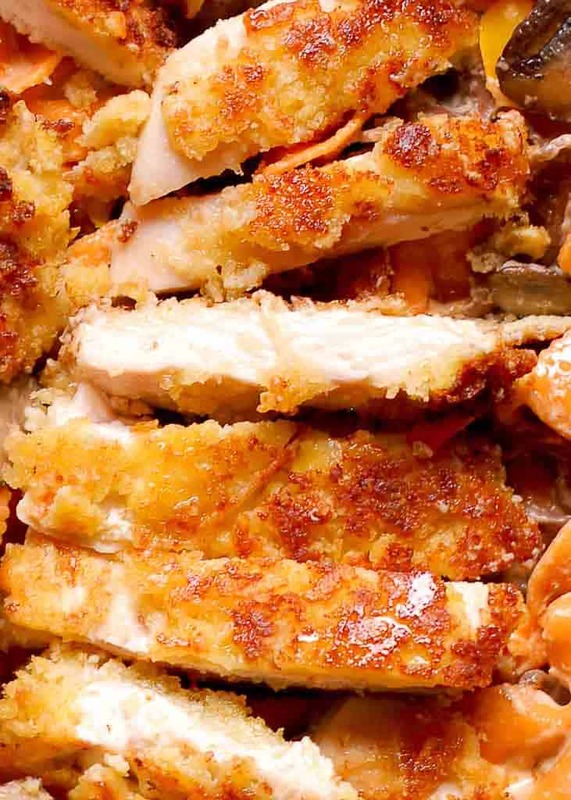 With only 30 minutes of total work, this dinner recipe is simple, fast and delicious! It almost sounds too easy to be as good as it is.